I Love You to the Moon & Back Engraved Pendant ONLY $8.99 + FREE Shipping (was $100)! 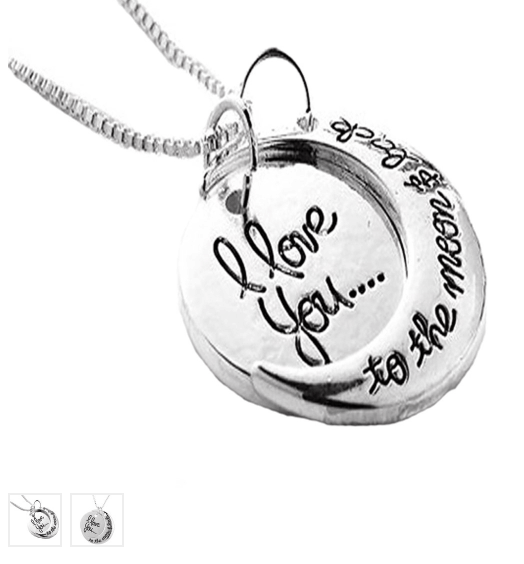 You are here: Home / Great Deals / I Love You to the Moon & Back Engraved Pendant ONLY $8.99 + FREE Shipping (was $100)! This would make a lovely Valentine’s Day gift for someone special! Hurry and grab this fab I Love You to the Moon & Back Engraved Pendant for ONLY $8.99 + FREE Shipping (was $100)!